The more you take on DIY projects the more important storing sandpaper becomes to your productivity and peace of mind. When you first start tackling home projects, it’s no problem to hit the hardware store for one of those sandpaper multipacks. 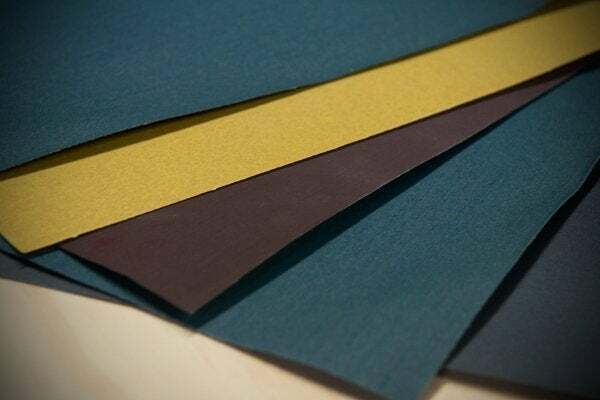 But the more you get into building and repair—or any work involving wood or metal—the more sandpaper becomes an item that you’ll want to keep readily accessible and in plentiful supply. If that sounds like a hassle or an expensive proposition, don’t worry; it’s neither. Buying sandpaper in bulk actually saves money in the long run. At my local home improvement center, a pack of five 100-grit 5″ sanding disks costs $8, while a pack of 50 costs only $18.99. You do the math! I think the key to storing sandpaper is remembering that it’s paper. 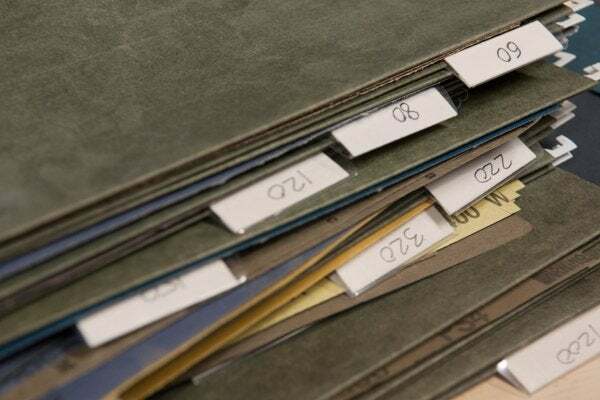 Basically, the goal should be to keep sandpaper sheets flat, crease free, and well organized. In my own shop, I store sandpaper sheets in hanging file folders, different folders for different grits. It’s a perfect solution in my case, since the worktable housing my router and miter saw is built from two large filing cabinets, which I salvaged from a junior high school. Filing cabinets may not work for everybody, but I love them. My benchtop drill press sits on one with casters, and I also have one dedicated to magazines, paper plans, and so on. Used filing cabinets are inexpensive and commonly available at thrift stores and on Craigslist. An alternative idea: Use a hanging file box from the office supply store; add wheels to it, if you want. 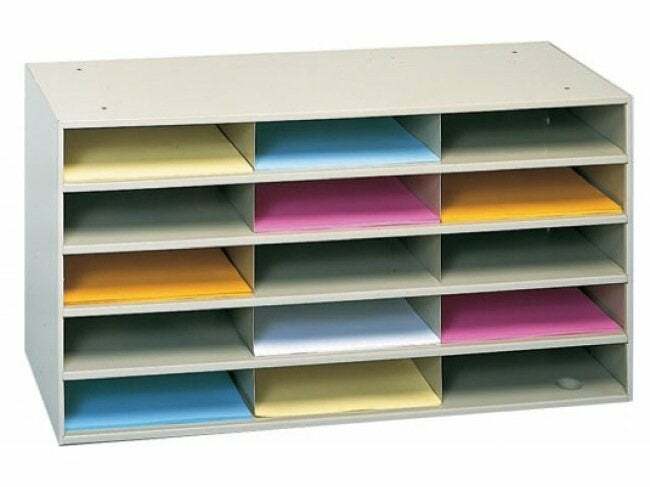 Other easy, customizable solutions include vertical file boxes or magazine holders with cardboard dividers. If the office supply store doesn’t have what you’re looking for, try the places where scrapbookers shop. After all, these people are masters of organizing all kinds of paper. Follow their lead and seek out options like cube shelving or flexible poly envelopes. Artists, too, know their way around paper, so check out vendors of art supplies, whether in person or online. Sandpaper doesn’t always come in sheets. It just as often appears in specialized cuts to fit powered sanders. When purchasing sandpaper of this type, don’t throw away the packaging in which it is sold. There’s no need to reinvent the wheel. 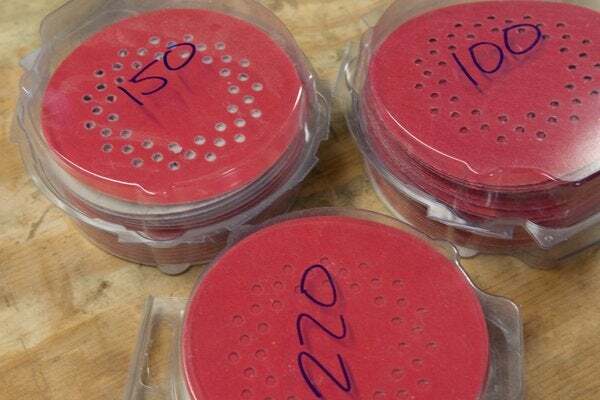 Specifically designed to store sandpaper, these molded plastic containers work well for the task. Label each one clearly, and if there have holes punched in their plastic (for retail display), hang them up on a pegboard. Prefer to make your own? 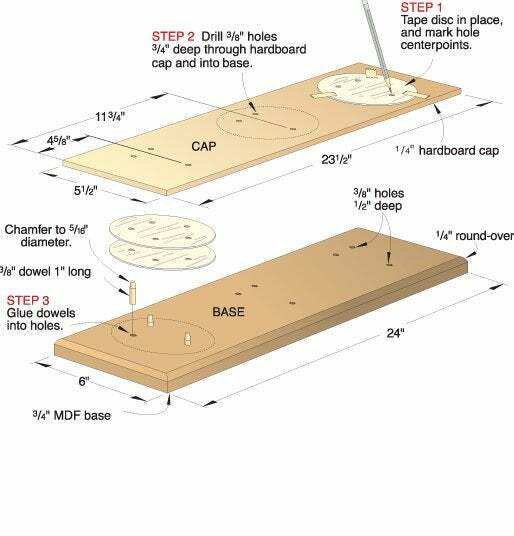 The diagram above, from Wood magazine, illustrates how you can build dedicated storage for sandpaper disks. Here, simple dowels protrude through the large holes in five- or eight-hole disks. Note that this only works with specific disks; it would not fit the pattern of holes in the sandpaper shown in the photo I’ve included. A parting note on sanding belts: Due to their shape, they can be hung on anything you please. Just make sure to keep the belts loose and non-compressed. That way, you won’t crease the paper and create a sharp edge that could cut the wood while the belt spins. What are your favorite solutions for sandpaper storage? Post your ideas in the comments below.